*Trinity Battle System - Combine the skills of your party to unleash massive offensive strikes against your foes. *Rogress System - Call upon them to annihilate your enemies. *Customizable weapons, magic spells, and special moves unique to each character. 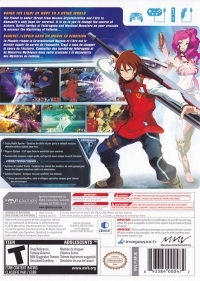 02-04-2019 silverbow Description Packaging text in English and French. 08-08-2014 kwisatzhaderach Box Text BRING THE LIGHT OF HOPE TO A DYING WORLD The Planet is under threat from Hozone Crystallization and L'Arc is Humanity's only hope for survival. It is up to you to change the course of history. Battle hordes of Feldragons and Mystical Monsters on your crusade to uncover the Mysteries of Fulheim... *Trinity Battle System - Combine the skills of your party to unleash massive offensive strikes against your foes. *Rogress System - Call upon them to annihilate your enemies. *Customizable weapons, magic spells, and special moves unique to each character. This is a list of VGCollect users who have Arc Rise Fantasia in their Collection. 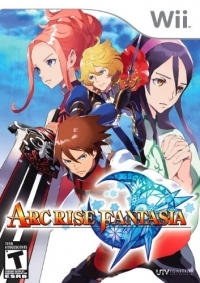 This is a list of VGCollect users who have Arc Rise Fantasia in their Sell List. 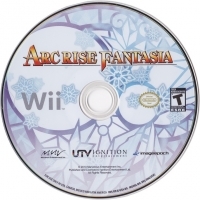 This is a list of VGCollect users who have Arc Rise Fantasia in their Wish List.